There’s so much to cover on this trip because I really did cram all I could of NYC into this trip. So, I’m going to have to divide a few of the days into parts. For Day 2, this is totally necessary and you’ll see why. I deliberated a lot before heading to New York about whether or not to hit up both the Top of the Rock AND the Empire State Building. 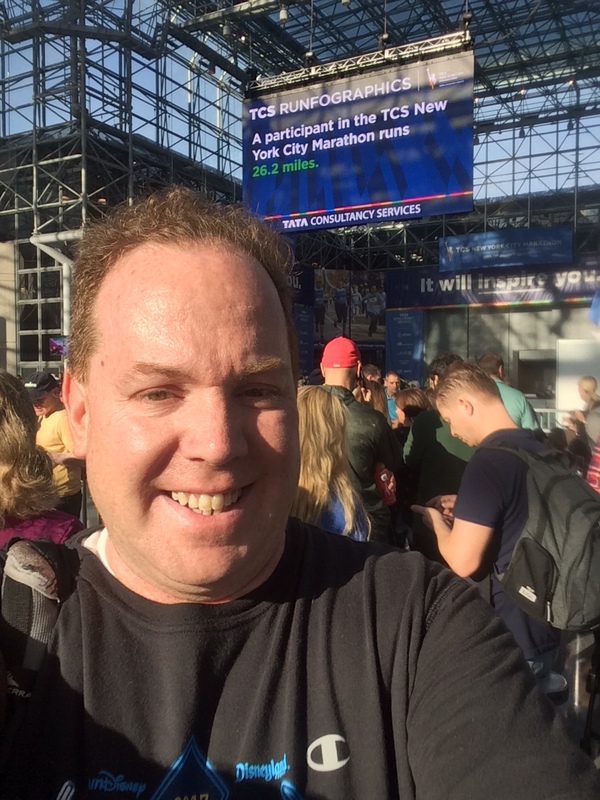 Once I found out that the New York Pass did not cover the Tour of NBC Studios, it made things really easy. 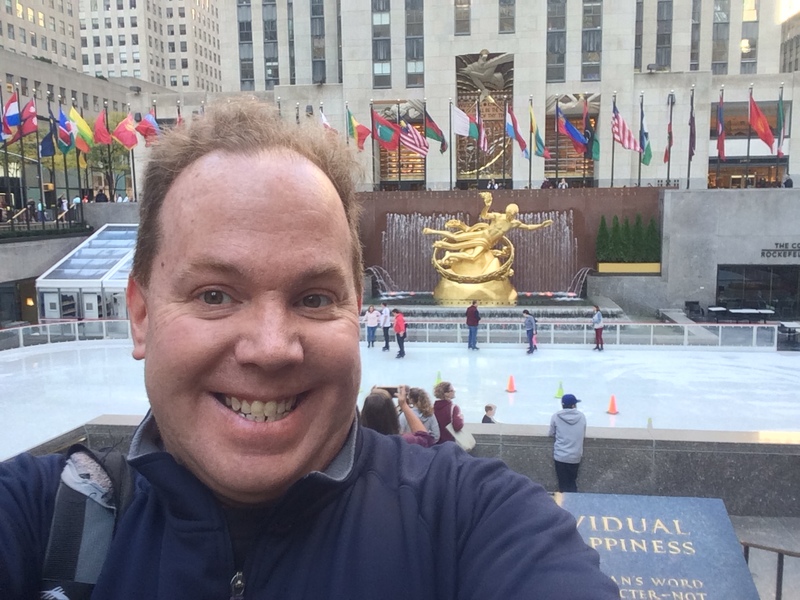 I should start my trip at the Top of the Rock (so I can actually see Central Park in the daylight) and end my trip at the Empire State Building. 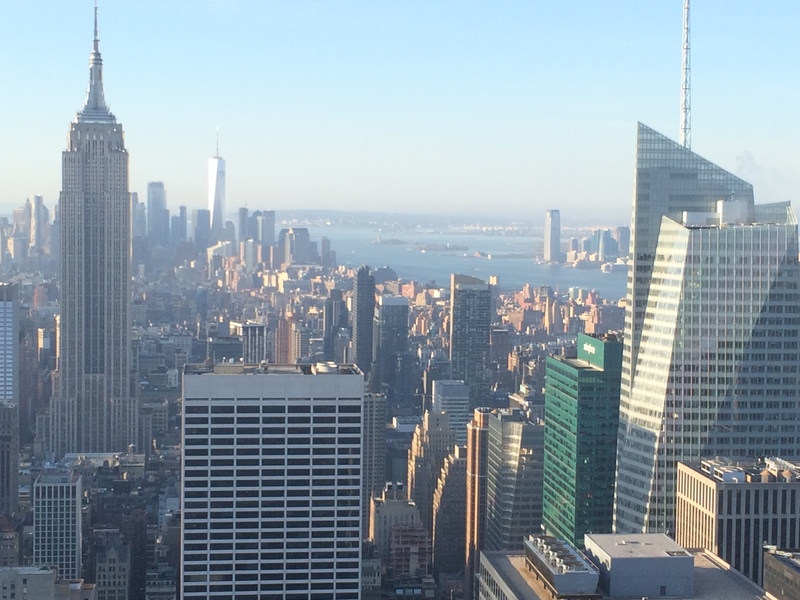 Let’s just say that views at the Top of the Rock did NOT disappoint. 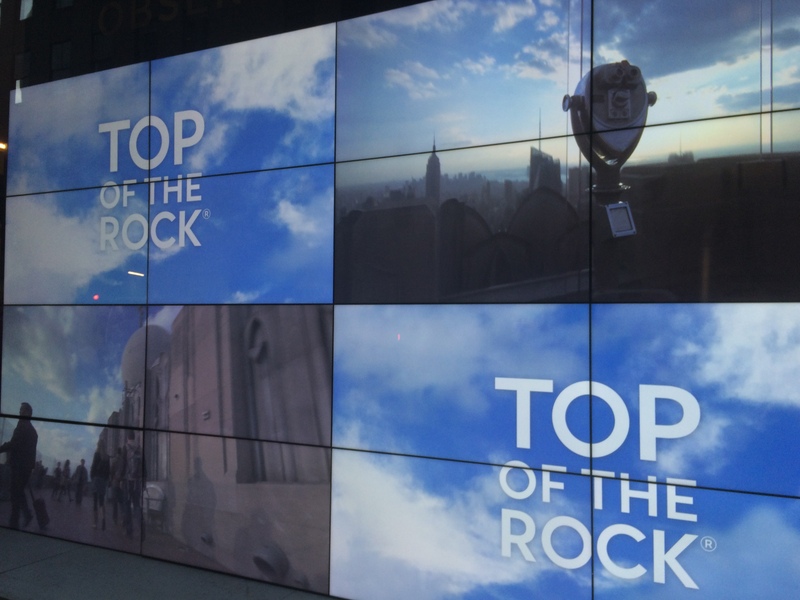 The reason I was going to choose the Top of the Rock over the Empire State Building is that when you’re on the Top of the Rock, you can see the Empire State Building. However, at the top of the Empire State Building, you cannot see Central Park. I think the same would be true if you are on Top of the Rock after dark. 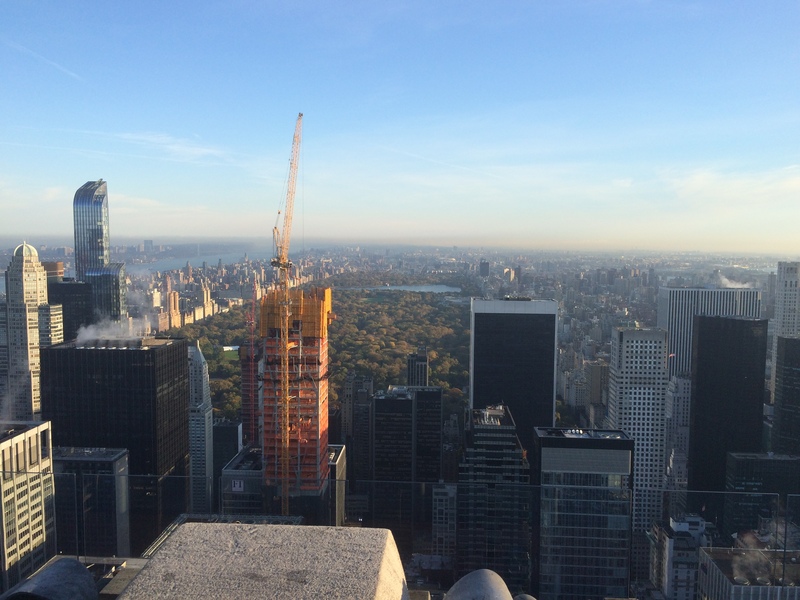 That’s why it made sense to start my first full day in New York City with Top of the Rock. 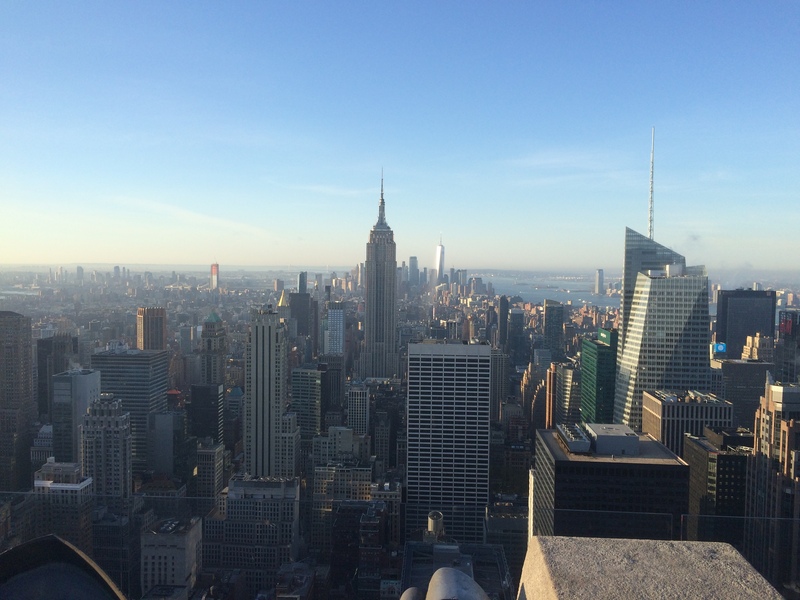 I could have stayed at the Top of the Rock forever because the views were just that breathtaking! 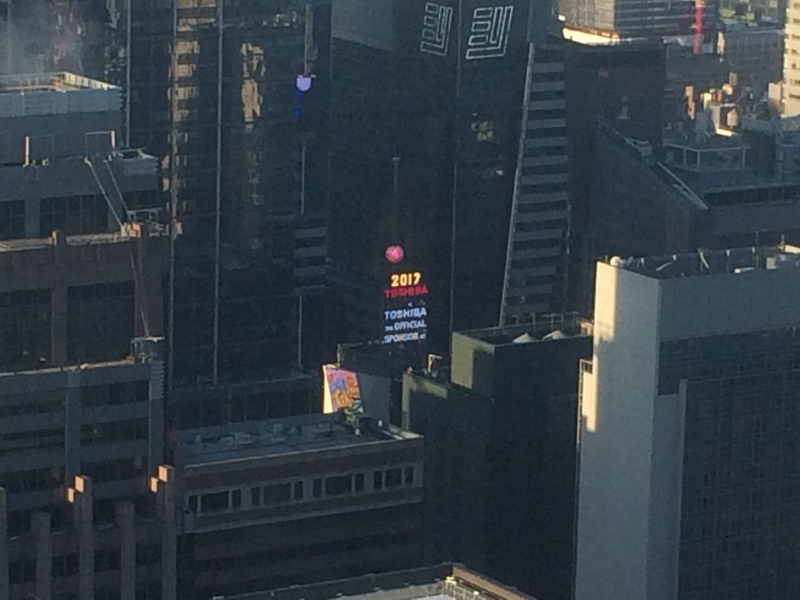 You can even see the ball that drops each New Year’s Eve in Times Square! On my last time around this amazing view 360 degree views of New York City, I noticed the Statue of Liberty way off in the distance. 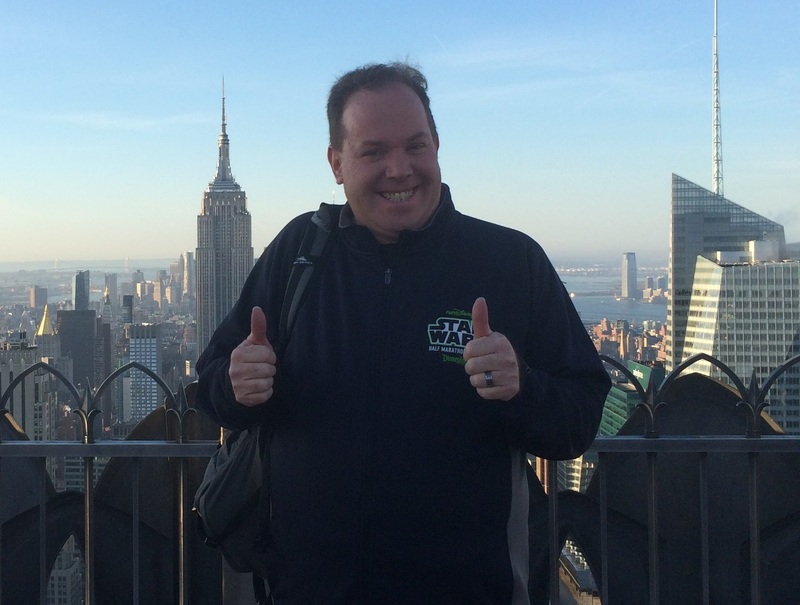 Even though I could have stayed on the Top of the Rock forever, I had other items on the agenda. So, after spending some time taking in the views (without taking pics), I headed back down. 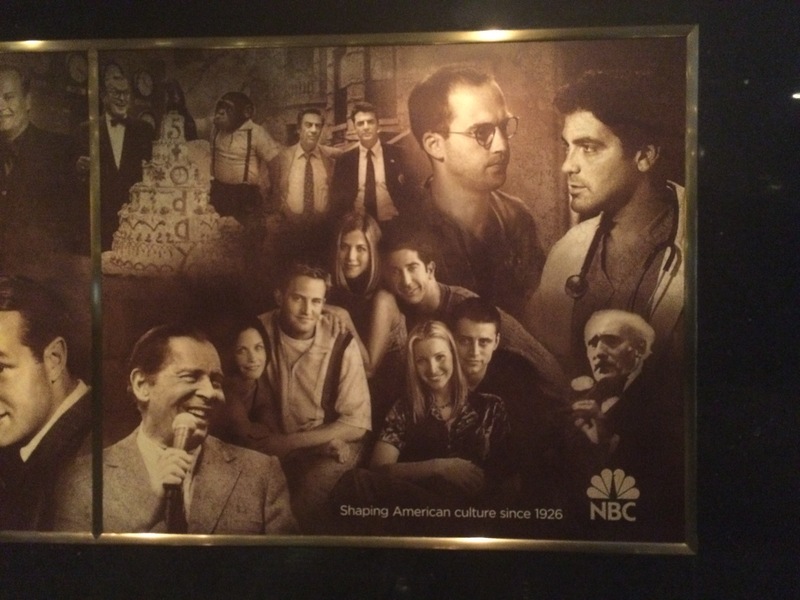 On the way out of the building, I passed by this fun mural in the lobby of NBC. So much awesomeness has aired on NBC. 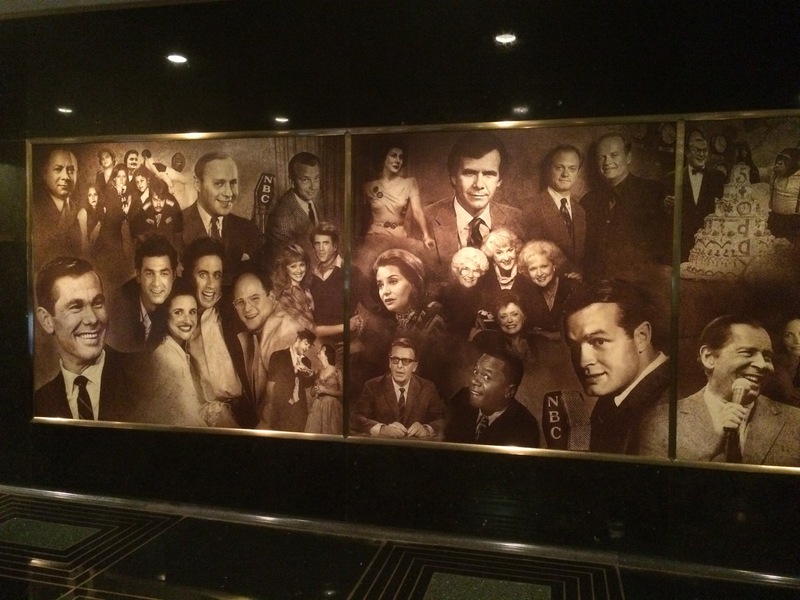 Seeing the cast of Friends and Seinfeld in one spot was pretty cool and reminded me of some of my special side trips. 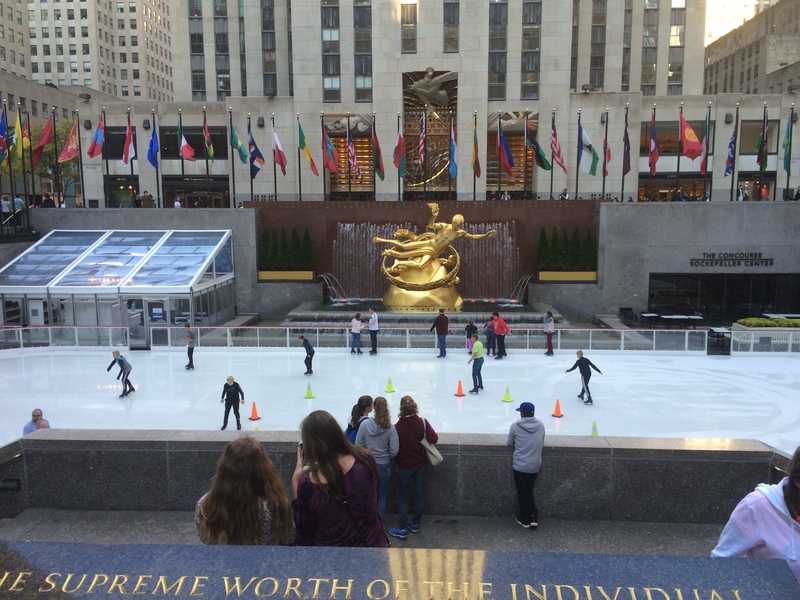 Since I left the Top of the Rock a little early (according to my plans), I wanted to see Rockefeller Center. Much to my surprise, the skating rink was already up and going! This is iconic New York City stuff! I seriously couldn’t believe that I was getting to see the kinds of things I had only seen on television and in the movies before! 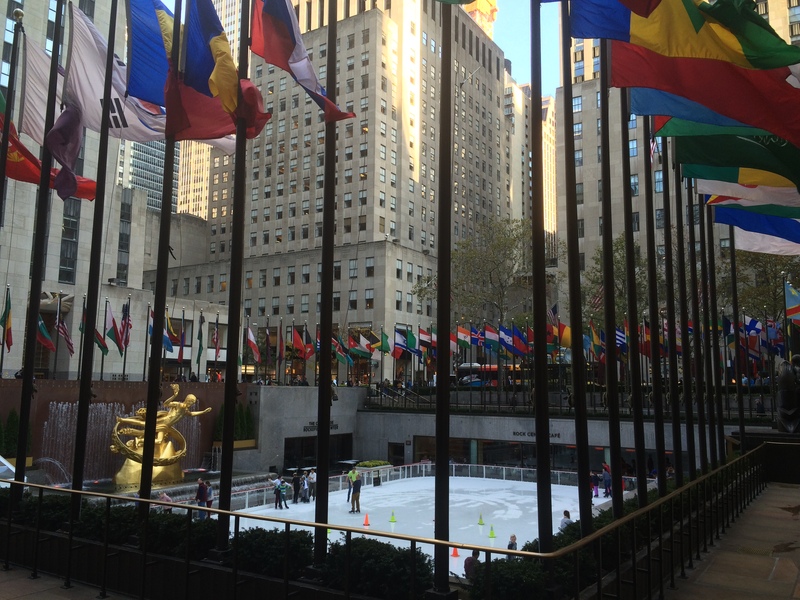 I loved all the flags that surround Rockefeller Center! This is the best pic I could get of them. After Rockefeller Center, I was off to Bryant Park to catch my subway to the Expo. Guess what? 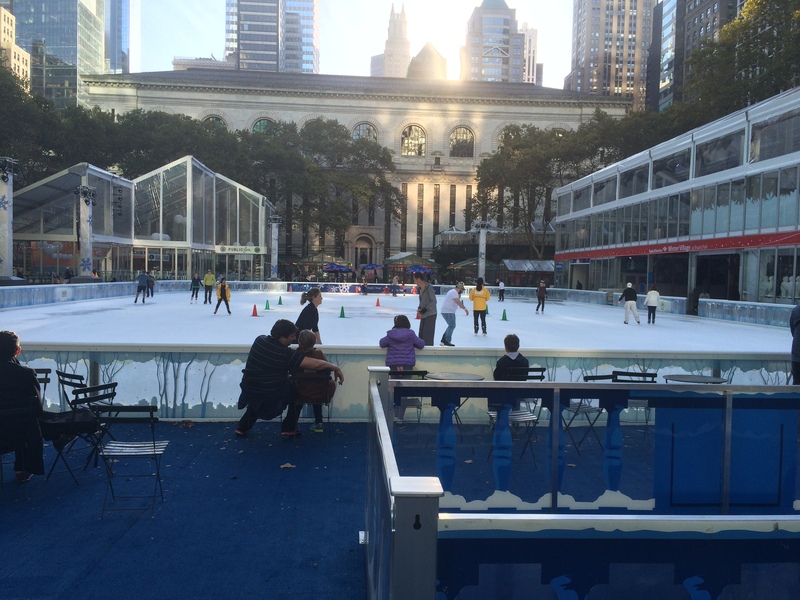 Bryant Park also had skating! They also had just started their Winter Village. So, since I had some time, I walked around. 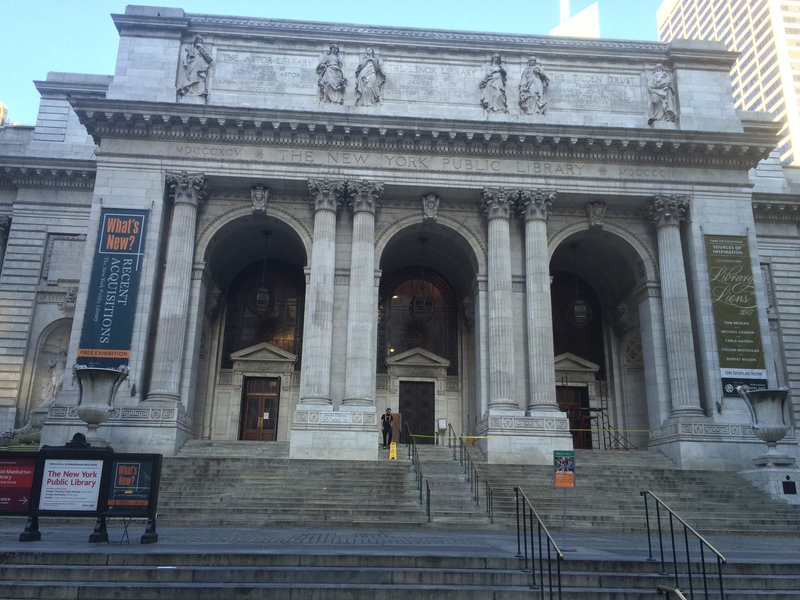 I also took the time to walk around to the New York City Public Library. This is where the buses would be lining up on Marathon Morning. So, it was good for me to get a mental image of this area. 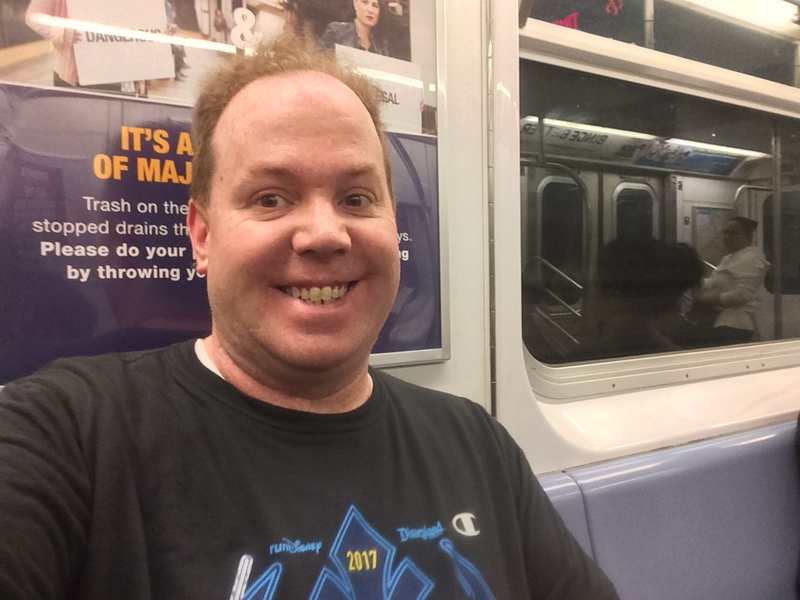 After that, it was off to get my Metro Pass and take my first (of many) rides on the New York Subway. 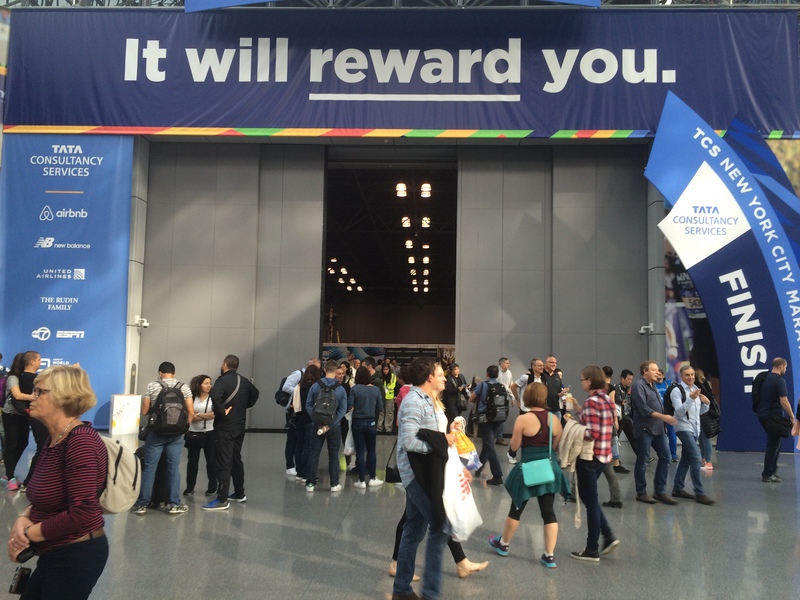 There’s a subway station right by the Javits Convention Center. 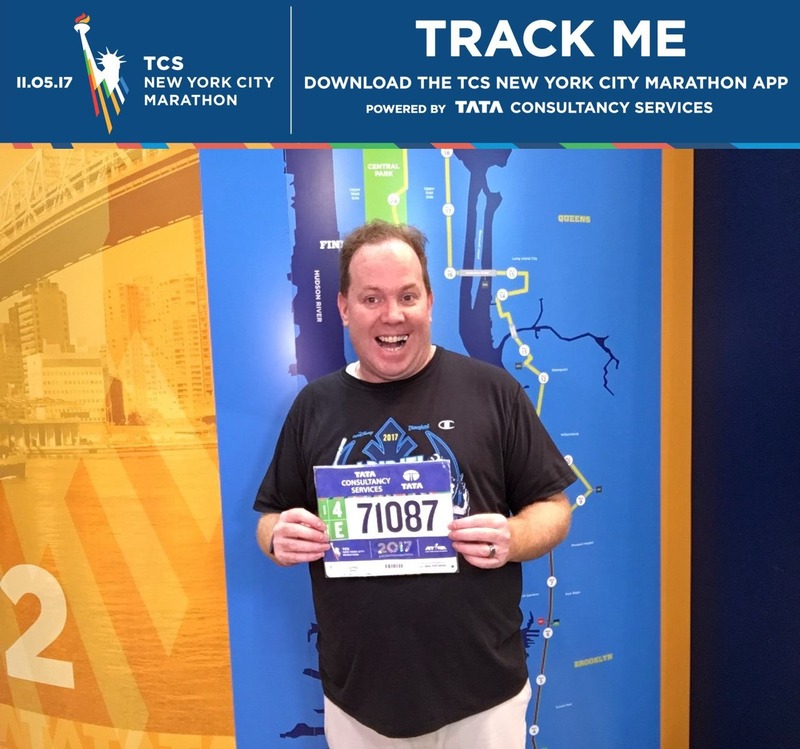 Everything around was about the NYC Marathon! I got to the Expo around 20 minutes before it opened. The crowd was already pretty massive. See what I mean? 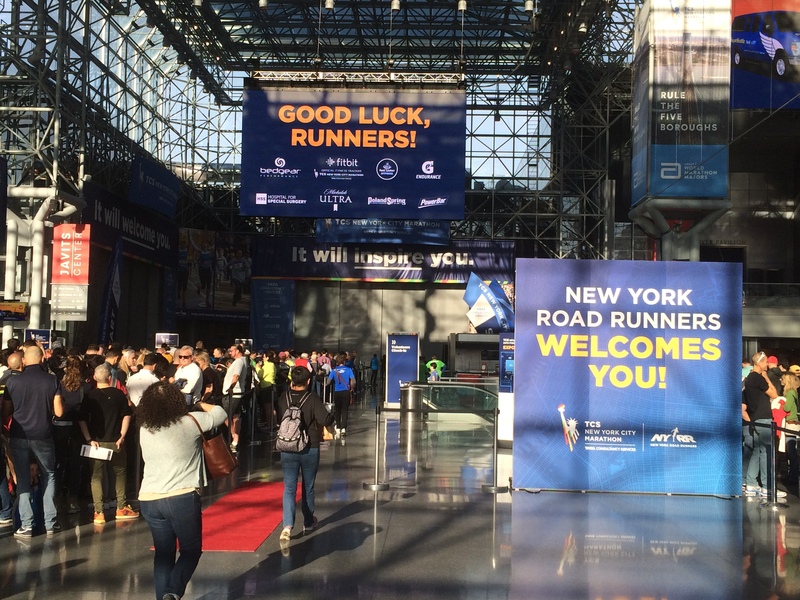 Hats off to the volunteers and the New York Road Runners for how they kept everything organized! 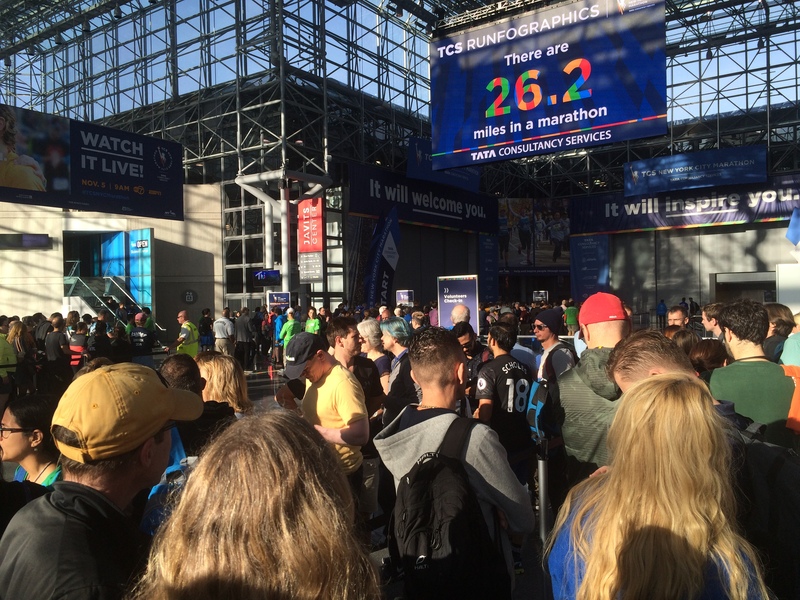 One thing that’s fun about running in a World Major Marathon is that people from all around the world are running. The guy behind me in line for the Expo was from Moscow! Others I met that day were from France, Germany, the United Kingdom, and New Zealand! 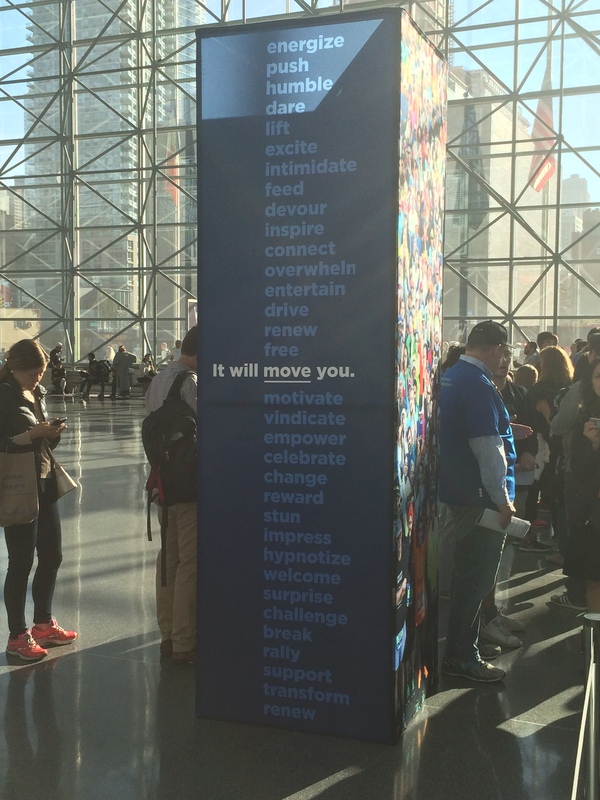 I love all the signage at these Expo’s! NYC did not disappoint. They opened the doors about 5 minutes before 10am and before I knew it, I was in! Even though the crowds were massive, there was more than enough room to move around. 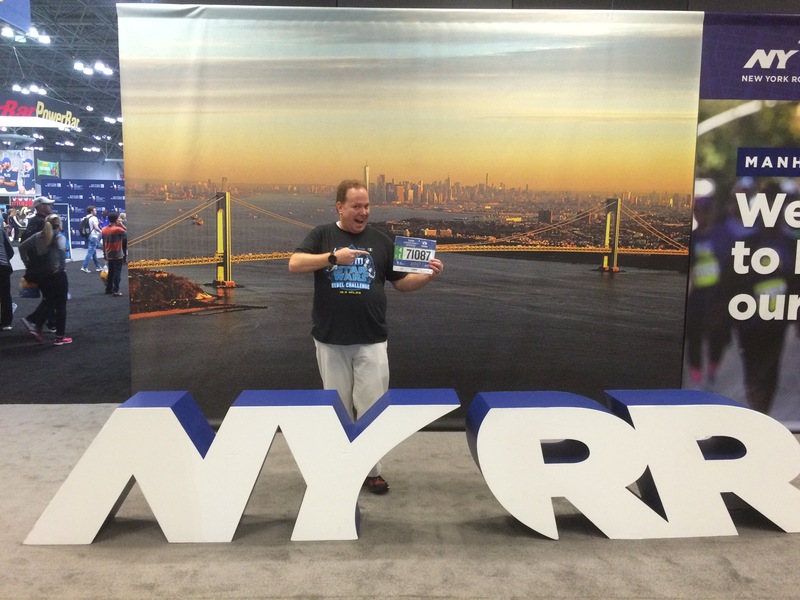 My first stop was to get my NYC Marathon race bib. The line wasn’t too long. I think there were 3 or 4 people in front of me. The volunteers moved quickly so I got my bib in no time. 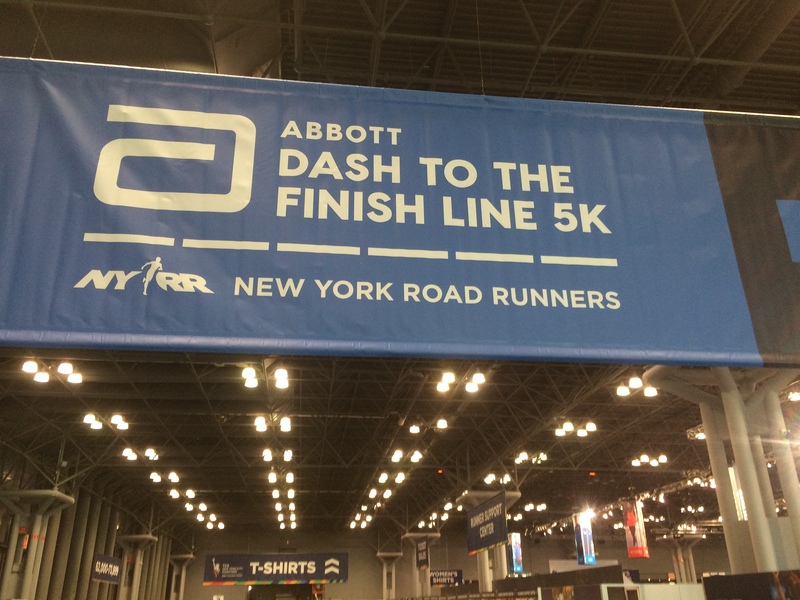 After getting my race bib for the marathon, I headed over to the line for the Abbott Dash to the Finish Line 5K. We didn’t get any sort of waivers for this race. So, I had hoped that I hadn’t missed that email. I got in line with others who were in the same situation. Again, the line was long, but moved pretty quickly. At the front, all I needed to do was give them my driver’s licence and they found me! 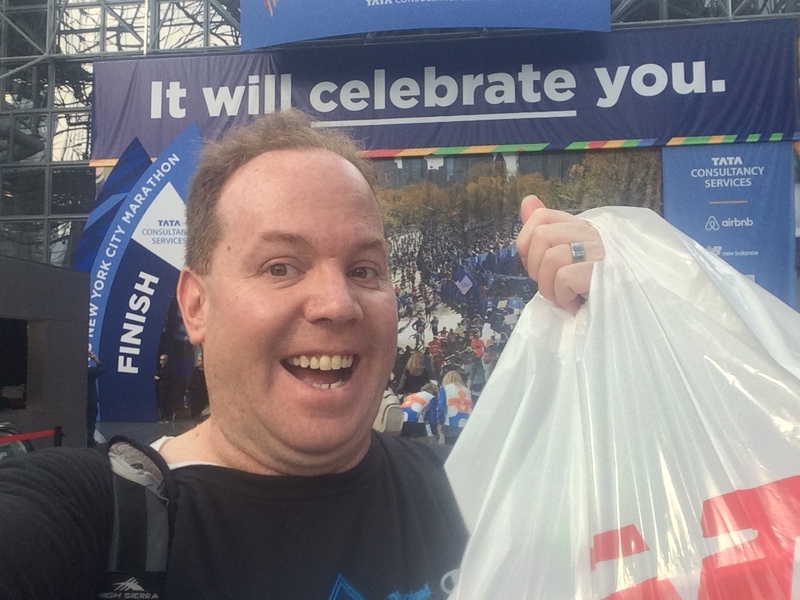 After getting my race bib for the Abbott Dash to the Finish Line 5K and shirt, I headed off to get my race shirt for the NYC Marathon. 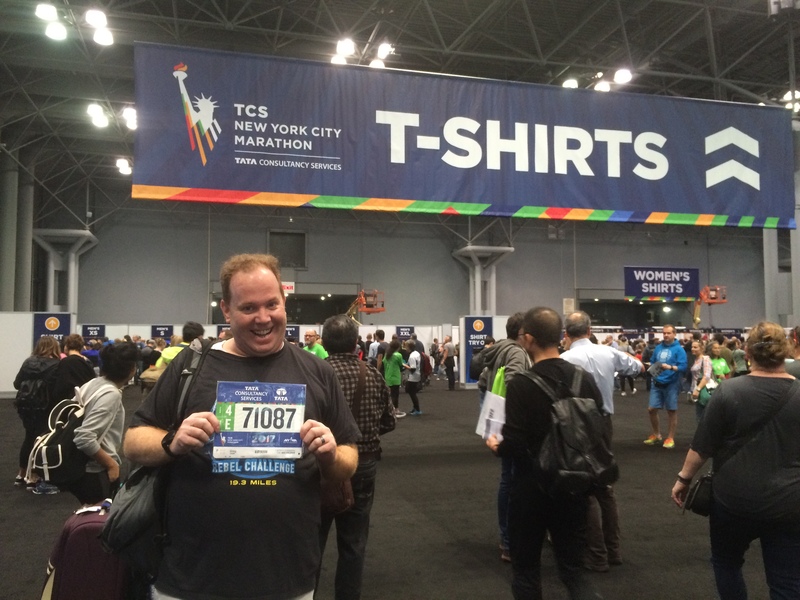 But, first, I posed for this pic with my bib. The sad part of social media is that I didn’t feel like I could post this pic because I didn’t want some race bandit stealing my race number to get in the race. 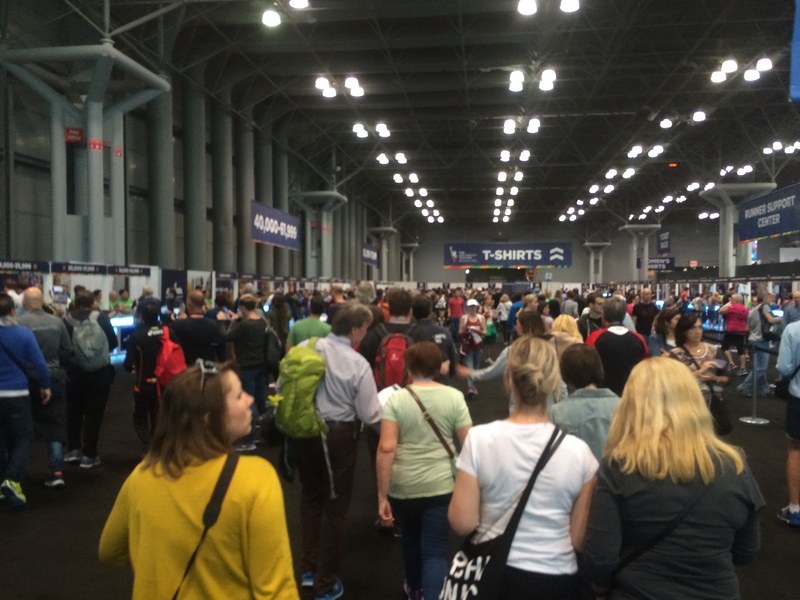 The part of the Expo directly behind me is where you can try on sizes of the shirts to make sure it is a good fit. To the right is where they gave out the shirts. 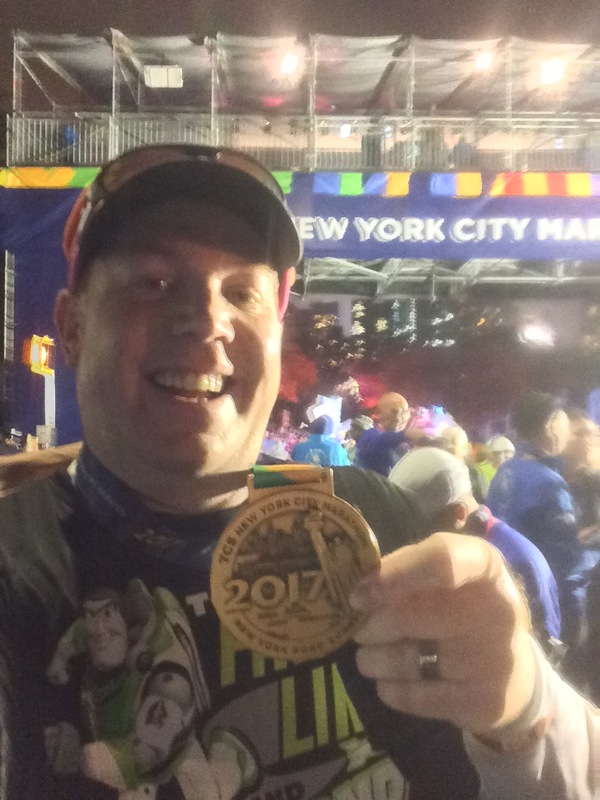 One thing that’s good about being a big person runner is that there aren’t a lot of XXL folks racing a big marathon like this. I had no line in the XXL. The lines for other sizes were pretty long. 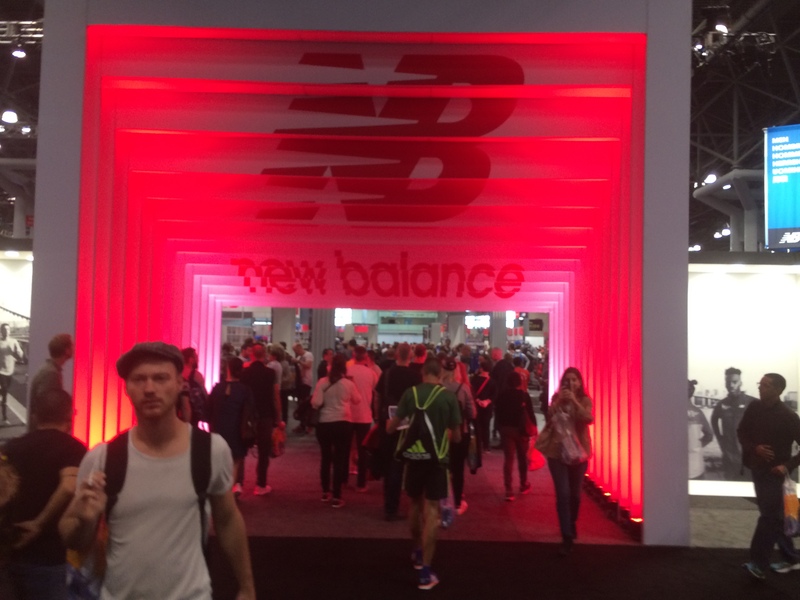 After that, I headed off to the New Balance area to look over the official merchandise. There were a few things I wanted to look at and potentially purchase. 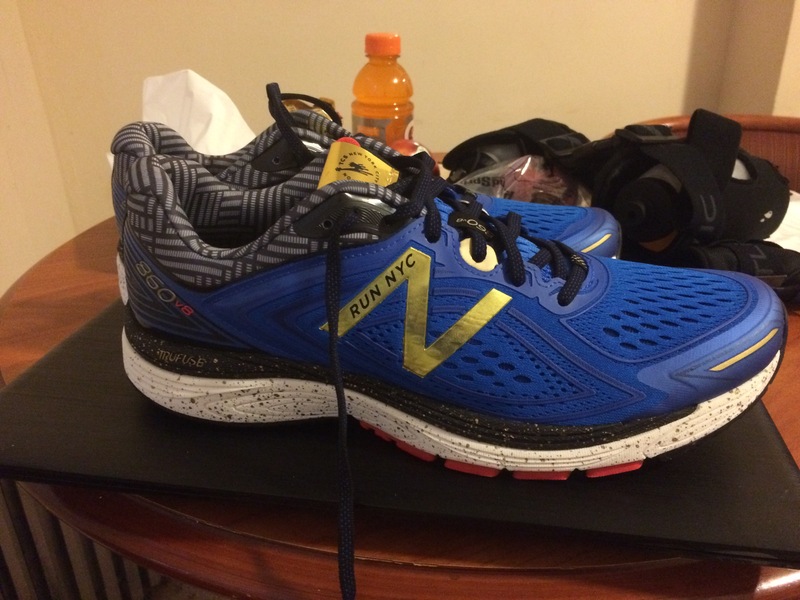 I did decide to purchase the New Balance 860 NYC Marathon shoe. Before I left, I kind of made that decision. 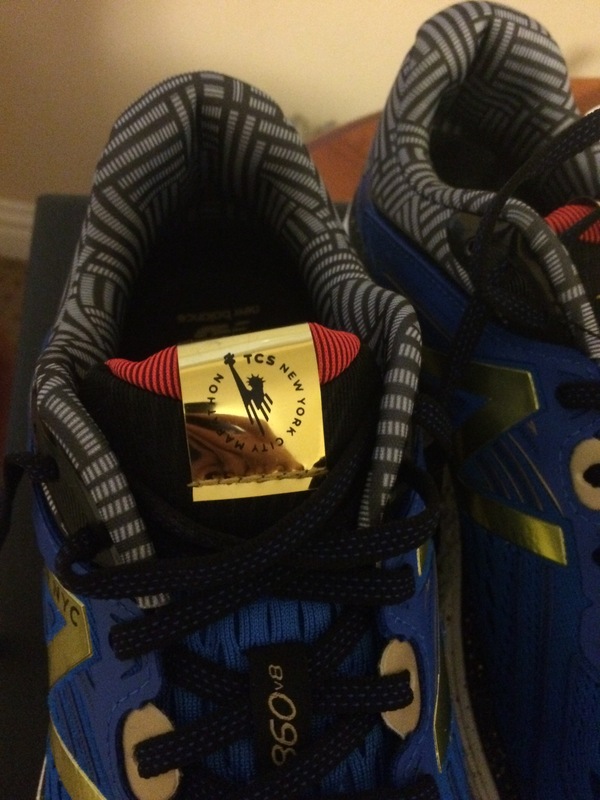 Since I was wearing my Mickey runDisney New Balance 860’s, the sales guy recommended that I stick with this shoe. I must admit that this is the shoe I was most likely to buy before I arrived. So, it worked. I also purchased a set of gloves that I figured I’d need for both the 5K and the marathon. 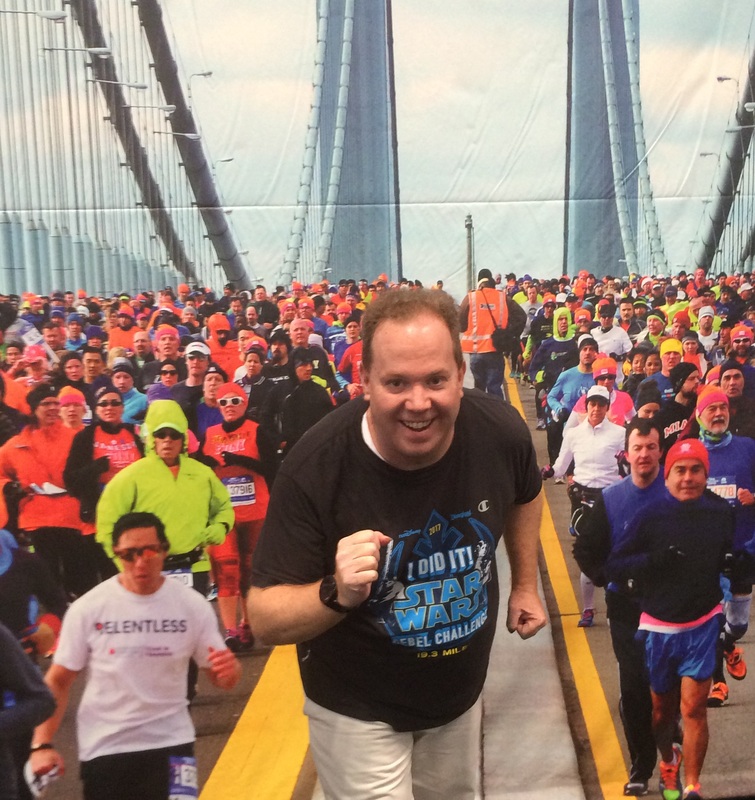 As I got ready to exit the New Balance area, there was this photo spot with a photographer. So, I had to stop. The Expo floor had some other fun picture spots. I love this one on the Verrizano Bridge! 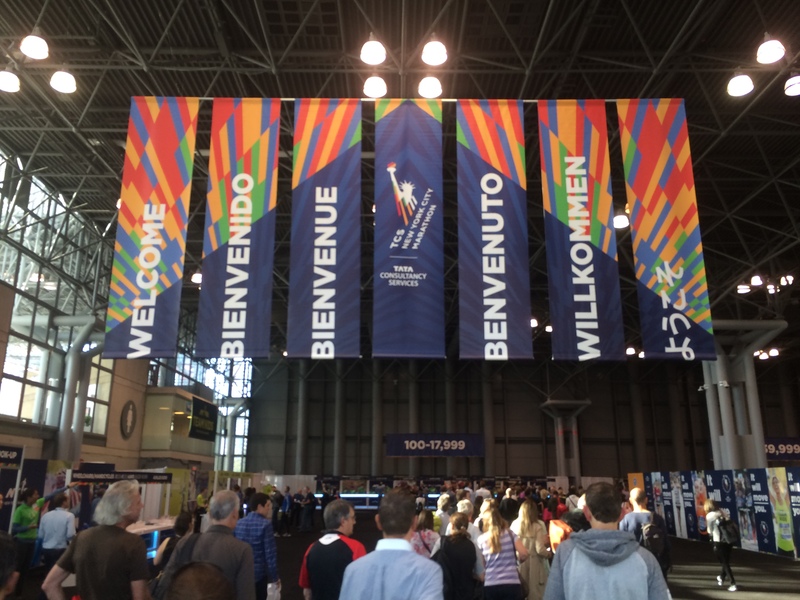 The Expo was as large as you would imagine a World Major Marathon expo would be. 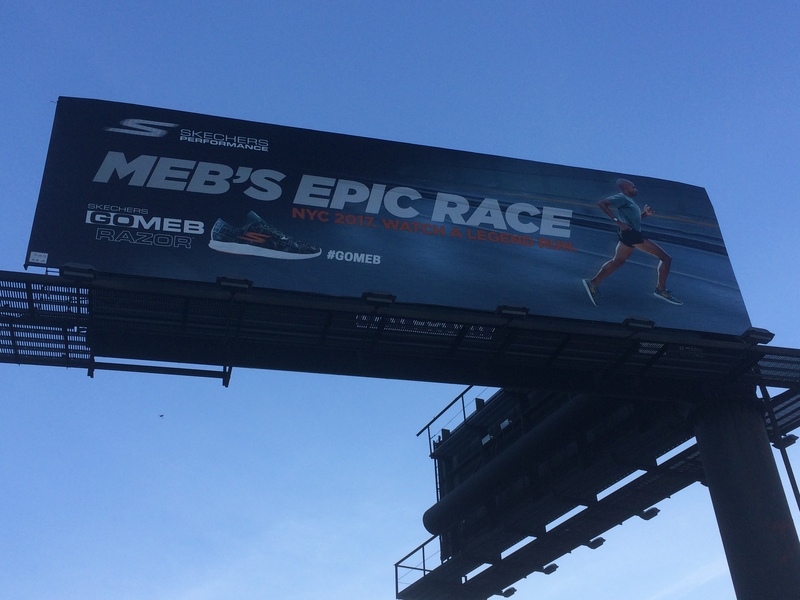 I don’t think it was as large as the Chicago Marathon. But, it was still pretty massive! Of course, who could pass up a free digital photo spot? 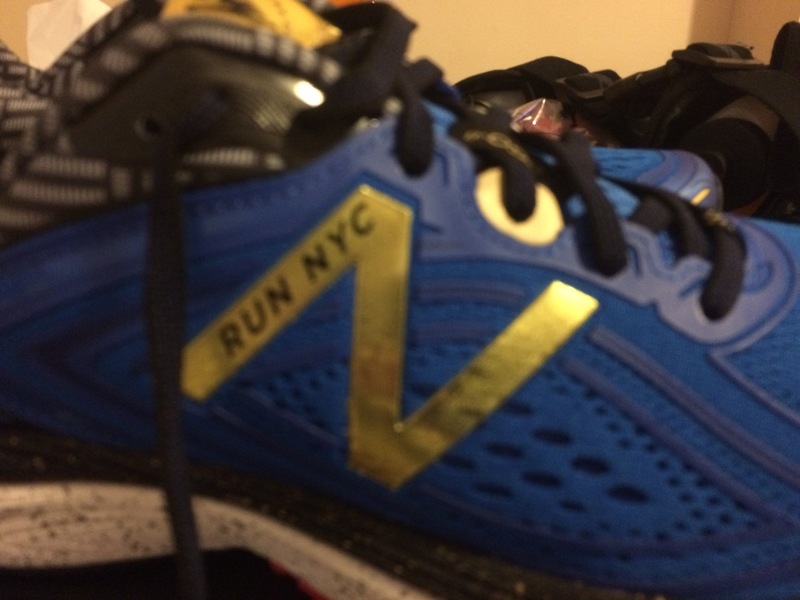 I must admit, though, I would have rather had this pic show more of the city image with 26.2 on it to match the pic I got at the Chicago Marathon. But, it wasn’t my call to make. 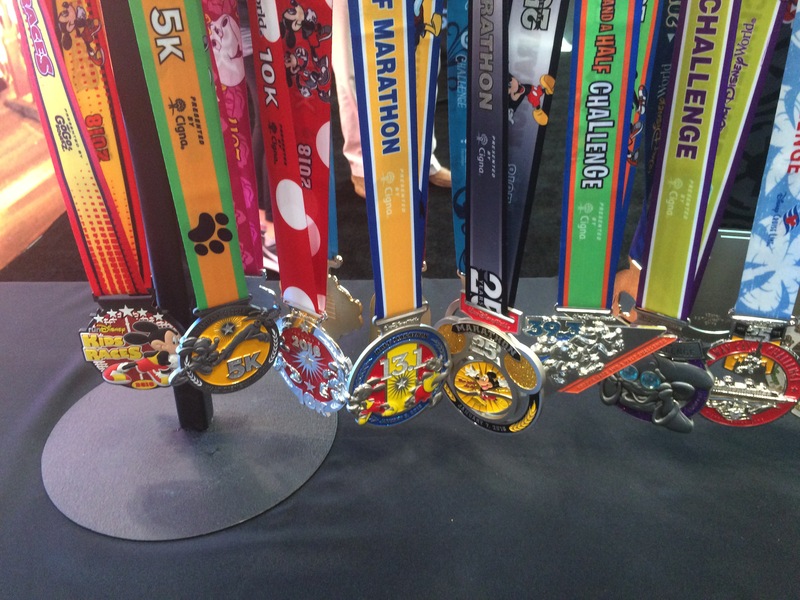 Of course, I did have to find my way over to the runDisney booth. 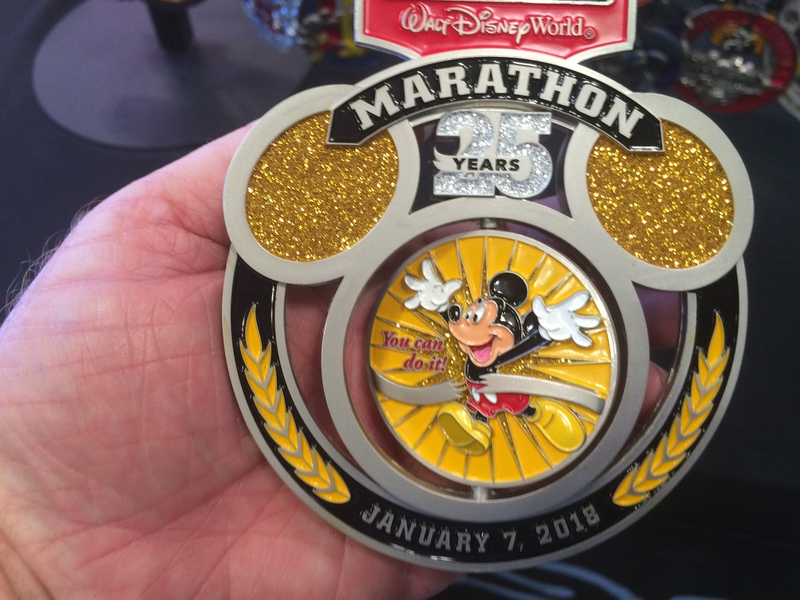 Here are the 2018 WDW Marathon Week medals on display. If only I could find that money tree so I could earn this medal. Oh well. It was nice to see it in person. 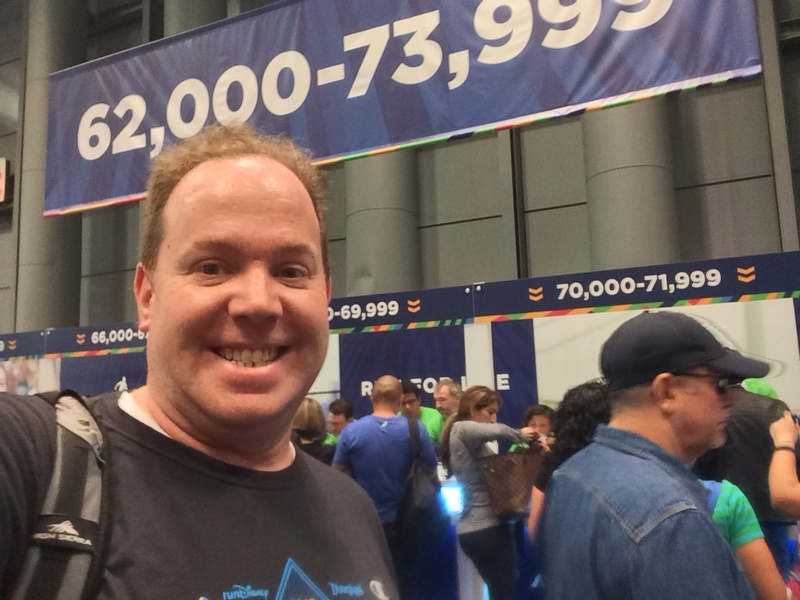 After around an hour and a half of Expo-ing, I was Expo-ed out. So, it was time to head back to my hotel to drop off the merchandise I had purchased. Again, I love the signage! 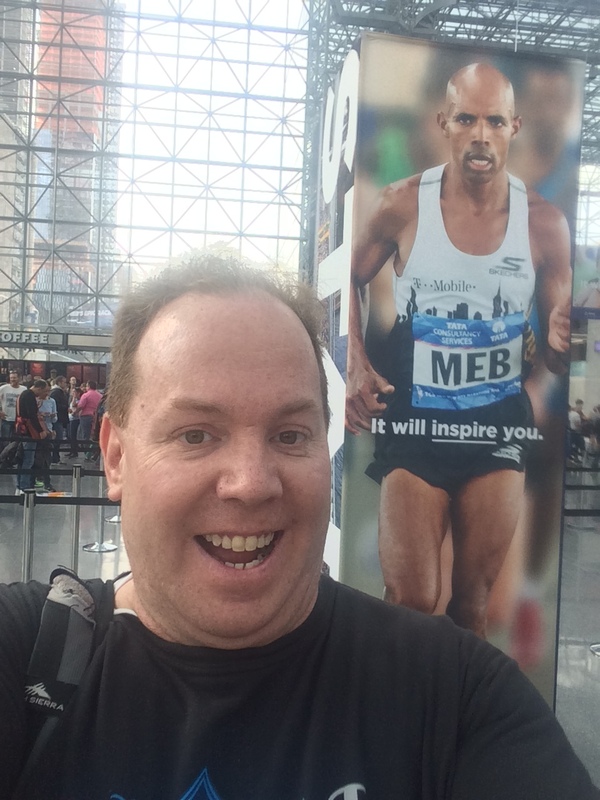 I kind of like that Meb got the “It will inspire you” statement. Bye, bye Expo! Hello subway! It’s not a great way to finish this post. 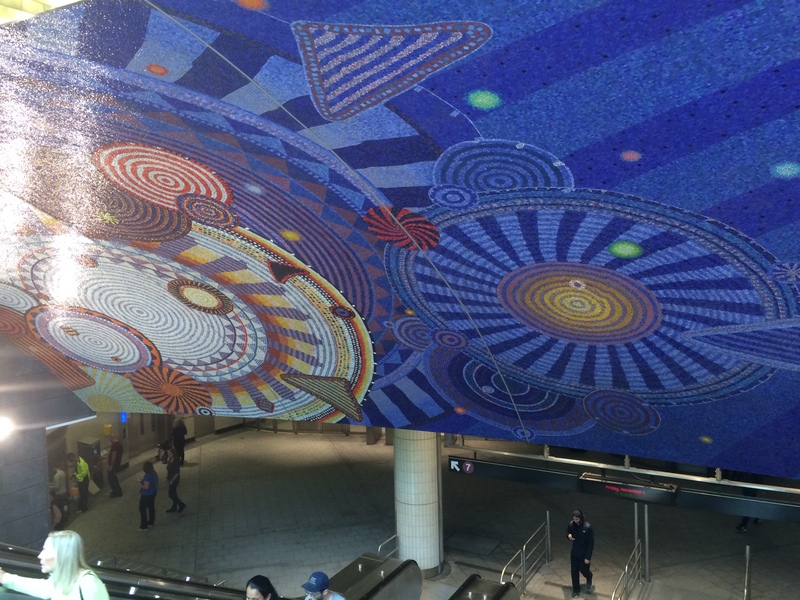 But, I love some of the artwork you see at the subway stations! 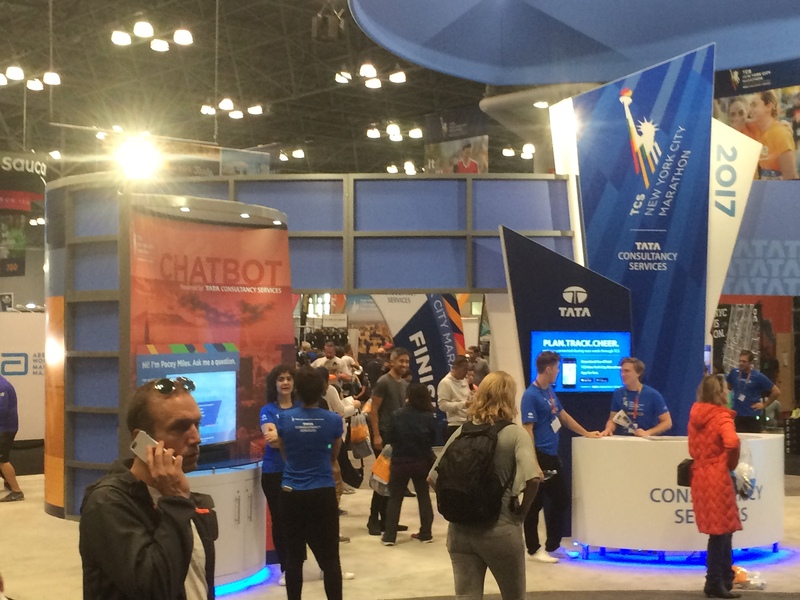 Here’s what I got to see at the station by the Javits Center. What’s kind of crazy is that everything I posted on here took place before 11:30am. I’ve got more cover on Day 2. Up next, the Lincoln Center Tour, Julliard, The Marathon Pavilion, Central Park, the Museum of Modern Art, and Phantom of the Opera.